Floral Danielle: Zoella Beauty range - Blissful Mistful and Fizz Bar! Zoella Beauty range - Blissful Mistful and Fizz Bar! As soon as I heard that Zoe Sugg/Zoella was bringing out a beauty range, I knew that it would create a huge fuss in the beauty blogging world. I assumed that it would include make-up like her good friend Tanya Burr's recent range, but was happily surprised to hear that it was a range based on a pamper routine. As a lover of a good old girly night of pampering, I was really excited to see what would be included and what the packaging would look like. Me and my boyfriend Joe recently spent a couple of weeks in Scotland and the first few days he was working so I had the perfect excuse to do some retail therapy on my own. I managed to find the beauty range in the Superdrug in Glasgow and surprisingly they had most of the range available. I decided on picking up two things that I knew I would definitely use - a bath fizz and a fragrance. When it came to the Blissful Mistful fragrance it was absolutely love at first sight... and smell! The packaging itself is so lovely, and would look gorgeous placed on a dressing table among other pretty perfumes. The design for the whole range is similar with cute handwritten font and polka dots, which I love, and I particularly love the see-through design and metallic lid of this! The smell is quite a light fragrance, but in a good way. It's the kind of fragrance I would use on a day-to-day basis so that I smell nice without that overpowering perfume smell. It's a mix of floral and fruity, it's quite hard to explain fragrances but I was very happily surprised with the scent. It smells more expensive than I thought it would, seen as it was only £8.00 for a 45ml bottle. The lasting power of the smell is great too, you'd only have to top up once or maybe twice during the whole day if you like it quite strong which isn't a waste due to the cheap price. I am really pleased with this fizz bar from the range also. I had no idea what the inside of the package would look like, but it has been created to look like a chocolate bar. There are eight separate bath bomb pieces you can break off with little Z's on. Have you tried any of the Zoella Beauty range? Which would you like to try out? Next on my wishlist is definitely the candle! Ohh I really want to try the Fizz Bar! I was in my local Superdrug Thursday and most of the range was sold out (insert sad emoji here)...I managed to pick up the 'Let Me Glow Candle' and the "Beauty Creamly Madly Deeply Body Lotion' and they are so lovely! I'm glad you found the candle - I'm definitely gonna pick that up next! I need to try out some of this range, I sprayed the mist but it didn't seem to last very long on me -maybe I didn't use enough! But the smell was really lovely. I really like the look of the fizz bar though, I might have to pick that up as well as the candle! Yes the Fizz Bar is lovely and the candle is next for me! 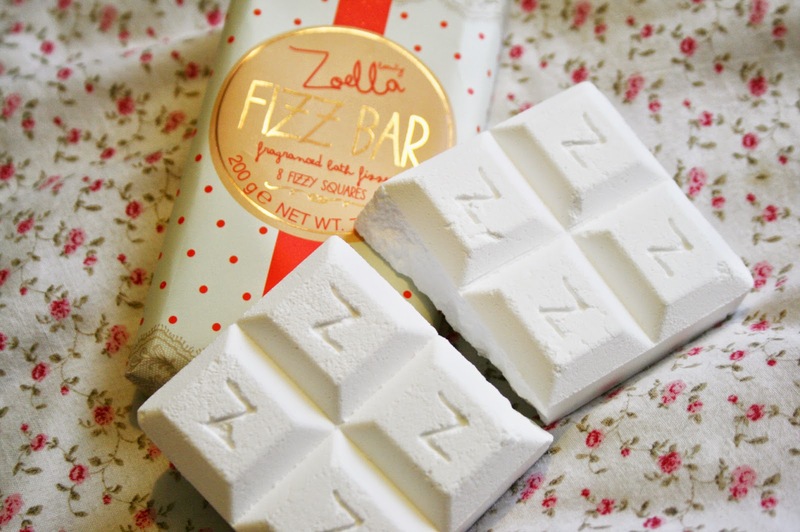 The Fizz bar looks really cool, and quite practical so you don't have to hack away with it like some Lush bath bombs! The perfume sounds great! Though I'm pretty thrown off that they're all the same scent. That Fizz bar is so cool! I haven't heard of this brand before but they sounds lovely! 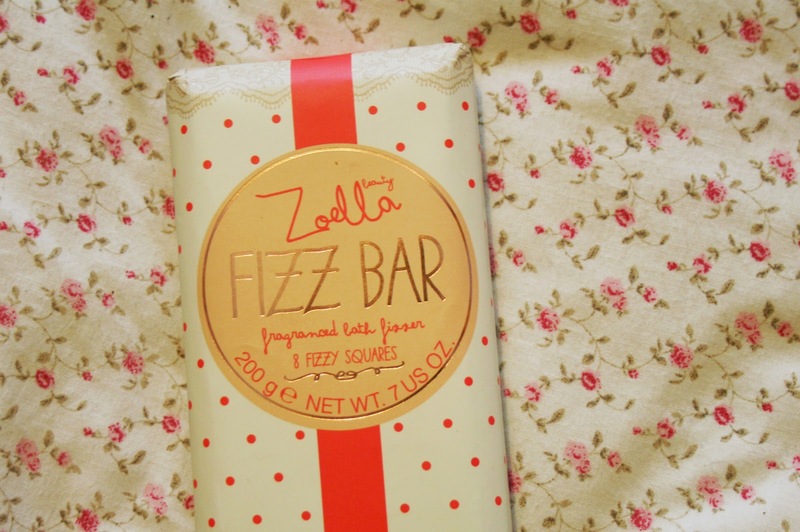 Oo I need to try some Zoella product, this looks lovely! You should definitely pick up a few bits! I need to get my hands on the candle! The Fizz Bath is really lovely! Ok, so I have been seeing this everywhere and I think I finally need to try it! I have the bubble bath want to try the candle though. These Zoella products are so popular lately ! On my wishlist !